Photos from a solo expedition on June 10, 2015 to the area above Craggy Gardens Picnic Area, and the nearby Craggy Pinnacle. The blooms were still far from peak. 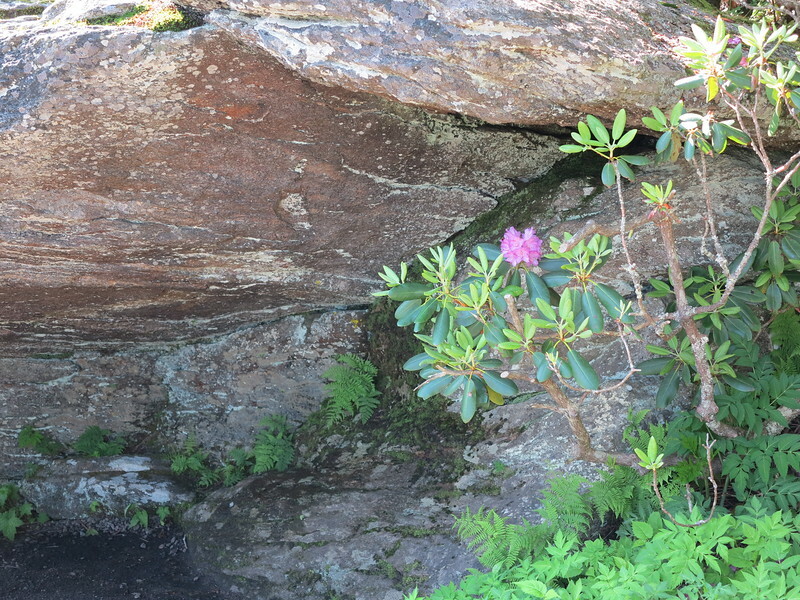 ...in front of an open cave-like area of a huge boulder along the trail to Craggy Pinnacle.